Samer Majzoub of FMC-CMF commenting on :Syrian refugees pepper sprayed in Vancouver. 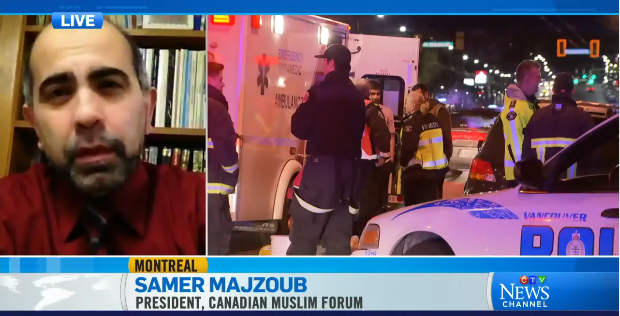 Canadian Muslim Forum president Samer Majzoub says it’s heart-breaking to see people who have ‘fled tyranny’ be mistreated here. The attack has been labelled an act Islamophobia by Samer Majzoub, president of the Canadian Muslim Forum. 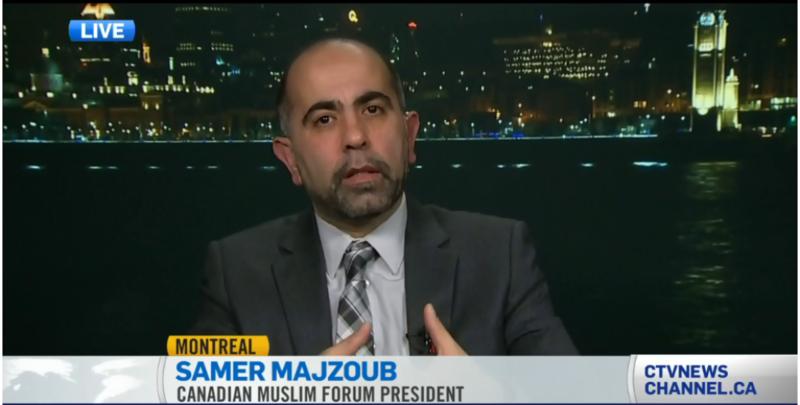 “What could this be, beside hatred or racism?” Majzoub said on CTV’s News Channel Saturday. Unfortunately, attacks on Canadian Muslims are “not something new to the Canadian Muslim community,” Majzoub said, pointing to reports of hijab-wearing women being attacked in public places. This entry was posted in interview and tagged (FMC-CMF), Canada Muslims, Canadian Muslim Forum, Forum Musulman Canadien, Islamphobia, Quebec Muslims, Samer Majzoub, Syrian refugees, Syrian refugees pepper sprayed in Vancouver by samermajzoub. Bookmark the permalink.